Gus Hansen returns to online poker and wins the biggest hand on Wednesday at partypoker. Last week, Denmark's Gus Hansen appeared on the Joey Ingram podcast and gave some unique insights into his life. At one point in the podcast, Hansen said he wasn't planning to play the big games online anymore, after his attempts on PokerStars and Full Tilt Poker had resulted in a combined result of minus $20 million. Still, "The Great Dane" returned to the high stakes anyway, sitting down on Wednesday in a $100/$200 pot-limit Omaha game on partypoker called "Trickett's Room", named after partypoker Ambassador Sam Trickett. While he broke with his vows, the result of plus $336,866 must have excited Hansen. In a massive pot, replayed by Ingram, Hansen won over $200,000 in a hand against Trickett and King's Casino owner Leon "KingsOfLeon" Tsoukernik. The action began with Tsoukernik opening to $700 from the hijack before Hansen three-bet to $1,200 from the cutoff. Trickett then cold four-bet from the button to $4,600 and the players in the blinds folded. Tsoukernik called before Hansen jacked it up with a five-bet to $18,700. Trickett and Tsoukernick called before the flop came . The action continued to pick up with Tsoukernik leading out with a pot-sized bet of $42,295. Hansen then went all-in for $146,701. Trickett folded and Tsoukernik called his remaining stack of $39,522. Hansen was a 3:1 favorite in the hand and Tsoukernik was drawing dead after the turn gave Hansen a flush. The completed the board on the river shipping Hansen a pot worth $205,929. You can check out this hand and another that Hansen lost here, compliments of Joey Ingram. Ingram actually did a long live stream showing the action, which can be viewed here. Tsoukernik opened the cutoff for $700 before Hansen on the button three-bet to $2,400. The blinds got out of the way and Tsoukernik four-bet to $7,500. Hansen called to see a flop. On , with $15,295 in the middle, Tsoukernik bet pot. Hansen called and the two got the on the turn to work with. Tsoukernik bet pot again, this time for $45,885, and Hansen tanked for a bit. Tsoukernik had $61,556 behind and would soon have to commit it as Hansen moved in. Tsoukernik called. Hansen was in great shape and collected the full pot when the on the river paired the board. You can watch the hand here, courtesy of the partypoker Twitch stream. In addition to the huge action last week at partypoker, there were tons of big pots played at PokerStars as well. The top 29 hands according to HighStakesDB.com all took place at $100/$200 pot-limit Omaha tables. The action began in the biggest pot of the week at PokerStars with "BERRI SWEET" raising the button to $600 and Ben "Sauce123" Sulsky three-betting to $1,800. "BERRI SWEET" four-bet to $5,400 and Sulsky called to bring the preflop pot already up to $10,800. Both players checked on the flop. Sulsky fired out for $3,567 after the appeared on the turn and got a call from his opponent. 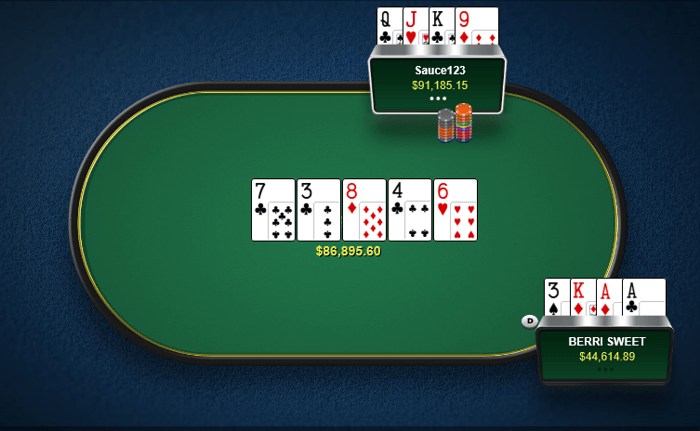 Sulsky led out for $5,517 after the completed the board on the river. "BERRI SWEET" raised to $34,481 and Sulsky called. Sulsky shipped a huge pot of $86,895 after he turned over for the second nut flush, good against the over pair and nut-flush blocker held by "BERRI SWEET" with . The second biggest hand of the week took place five hours before the biggest pot, involving the same duo of "BERRI SWEET" and Sulsky. This time, "BERRY SWEET" was able to get the best of Sulsky to snag a pot worth $77,966. The hand kicked off with "BERRI SWEET" opening from the button for $600 before he called a three-bet from Sulsky to $1,800. Sulsky then led out for $2,037 on the flop and got called. After the appeared on the turn, Sulsky check-raised a bet from "BERRI SWEET" from $2,297 to $11,196. "BERRI SWEET" called and the completed the board on the river. 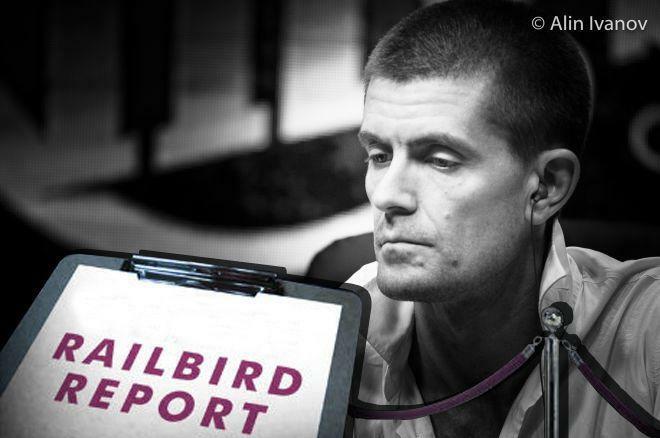 Sulsky jammed his remaining stack of $23,957 and "BERRI SWEET", who had him covered, called. Sulsky turned over for trips, which proved to be no good against the flush held by "BERRI SWEET" with . The high-stakes duo of Rui "PepperoniF" Cao and Sami "Lrslzk" Kelopuro battled it out on April 1 when the third biggest hand of the week took place. Kelopuro opened the action to $680 from the button and called a three-bet from Cao to $2,120. Cao led out for $2,600 on the rainbow flop and Kelopuro called. Cao check-called a bet of $7,614 after the paired the board on the turn. Cao then checked again after the completed the board on the river. Kelopuro fired out a huge bet of $19,795 and had just $9,771 behind. Cao raised the action enough to cover Kelopuro's chips. Kelopuro folded his cards went to the muck, while Cao collected a huge pot of $64,337 without revealing his cards. Rui "PepperoniF" Cao was easily the biggest winner of the week notching up a healthy profit of $210,102 while also winning three of the six biggest hands of the week. His big week catapulted him from a small career loss at PokerStars into one of the site's profitable players in high-stakes games. On the flip side, one of Cao's victims Sami "Lrslzk" Kelopuro lost the most money this week by recording the week's only six-figure deficit of $104,081. Linus "LLinusLLove" Loeliger extended his lead on the 2018 leaderboard despite minimal play while James "JayP-AA" Park remained in second place and Alexander "joiso" Kostritsyn remained third despite not playing a single hand last week. Likewise, the bottom three spots on the leaderboard remained the same. Once again, "ImagineKing" added to his losses and has a firm hold on the biggest loss of the year. Mikael "ChaoRen160" Thuritz with a strong week was able to climb out of the bottom three with Blom losing big in heads-up play and taking his spot in second to last on the leaderboard. Viktor "Isildur1" Blom added slightly to his losses with minimal volume while Elior "Crazy Elior" Sion didn't play a hand last week and has remained in third to last on the yearly leaderboard for a third straight week.